ICON aims to “hyperconnect the world” by “building one of the largest decentralized networks in the world.” ICONs vision is creating a network where independent blockchains with different consensus mechanisms transact and communicate with each other without intermediaries. Where can you buy ICX? Can ICX be sold for cash? It consists of a shared ledger and its underlying asset called ICX. This asset is used for transaction fees within the ICON network. Blockchain Transmission Protocol (BTP) facilitates transactions among independent blockchains which are connected through Portals. ICONs focus is on Interoperability, and it strives to build the “network of networks.” It also allows smart contract execution within its ecosystem. It is collected 42,750,000 $ with their token sale, which was held at 20.September2017. ICX started as an ERC20 token and is now in the main net. No, it will be operating with delegated Proof-of-Stake. The price per token was ~11 Cent. It is operating from Korea. What differs ICON from other Cryptocurrencies? ICON allows entities like Universities, Hospitals and any kind of community to build a blockchain and connect through ICONs ecosystem with other blockchains. Its approach to interoperability is what sets them apart from traditional smart contract powered ecosystems. They are already partnered with several banks, universities, and hospitals in Korea and it has the support of Koreas biggest bank, Woori. 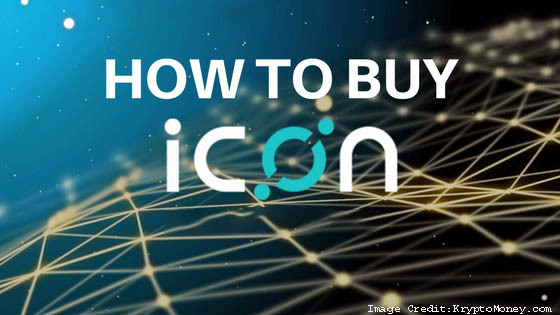 How much is ICON worth today? The total supply of ICX is 400,228,740 and the circulating supply at the time of writing is 387,231,348 ICX. You can buy ICX on several cryptocurrency exchanges, most notably Bithump, Binance, Upbit, and Huobi. You can sell ICX for cash on several cryptocurrency exchanges that have fiat-pairings, most notably Bithump and Upbit. The team of ICON is actively developing their blockchain and is working on forming partnerships and raising awareness. The network is steadily expanded. Additionally, it will be used as an underlying infrastructure for ICOs and dapps in the near future. 7/10 Very exciting project with a unique approach to interoperability. ICON is well developed and has a competent team behind it. The launch of dapps on its ecosystem will further boost the value. And they already formed significant partnerships in different sectors of the Korean economy. ICON will likely be the dominant force in the Korean blockchain industry. One to watch. The potential danger is how South Korea will regulate the blockchain space in the future.